In this Cake Business School review. This school is a the right place to start a cake decorating career with everything you need to know about starting a cake business from the legal to the unknown issues that you probably never thought about. This is a sponsored post which means I have been compensated to write this post -However the opinions expressed in this post are my own. Today I have a little something special to share especially for those of you that are just starting out in this field of cake decorating. Cake Decorating as a profession has come a long way, and yet; we all know that as beginners we have to work very hard if we want to make this a career. Almost all beginners will work very hard at learning cake decorating; they will take classes and online tutorials so they can make the most professional cakes for their customers. And the suddenly they realize they are not charging enough or have not got themselves legally registered with the right authorities. what they need to do, when to do it and how to go about doing it. Quite often they realize they don’t really know how to charge for their cakes or sweet treats etc. So this past week Rebekah Alan of the Cake Business School invited me to explore her website and have a look into her online Cake Business School resources and videos so I can share with you my thoughts on her school. Want my honest opinion ? I think it’s a great resource for anyone who has a cake business or wants to start a Cake Business. I started off as a hobby baker and over time things changed into a business direction for me. Most of what I learned has been through experience, a LOT of trials and errors. But learning from trial and errors has it’s ups and down. The UPs are great; the downs I could do without. So; here’s my advise to anyone planning a cake business; spare yourself from all the trial and errors and save yourself a lot of heart ache; join a Cake Business School that will help you understand the business side of caking and guide you all through the process from start to finish. As I watched her videos I was so fascinated with how she has got all the answers to questions that would pop in your head as a beginner. The reasons is because she’s been there so she knows the fears and challenges any beginner will go thru. She had worked very hard to be where she is right now and trust me – experience is the most valuable of all education. She has some great resources too, such as; worksheet and templates that she gives her members to make their work load a lot easier. She really has thought of almost everything you need to get your business up and running. Cake Pricing worksheets too! We all know how valuable time is and I see that Rebekah makes her members a high priority so at any time if you have a question just message her and she replies as soon as she can. That’s not all. She does Podcast and Facebook live on the members only Facebook group. So you actually get to interact with her first hand. Just type in the comment and she will address it. That’s not all; she has tons of free stuff for her members as bonuses so that they are equipped with every resource they would need as a cake decorator. So when you join her Cake Business School you get to access all these amazing resources along with her 17 Cake Business Modules I mentioned above. How to choose your Niche Market. Here’s the best part – the bonus especially for you. Now especially for fans of Veena’s Art of Cakes – you get all the bonus for free plus an Amazon Book Bundle that includes these amazing eBooks. 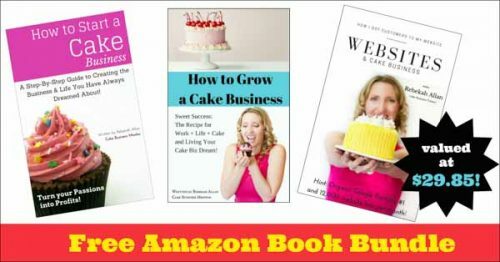 How to start a Cake Business which was #1 Amazon best seller. How to Grow a Cake Business and also Website and Cake Business – How I got customers to my website. I believe the value of these bonuses is $29.85 but that’s only if you sign-up now in this week. Now here’s how it gets even better especially for those of you that are unsure. 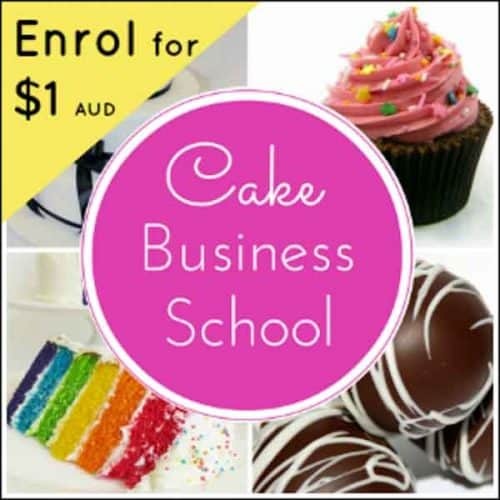 You can Sign Up for Cake Business School for only $1 AUD for the first month (that is less than $1 US) after that it’s $9 AUD a month and you get to access all the above resources for FREE. If you don’t think it’s useful you can quit at any time no questions asked. But I bet you will find it so helpful, you will stay much longer; I promise. Don’t forget to tell Rebekah I sent you; I’m sure it will make her very happy. Now I gave you a list of all the good juicy stuff; which as you can see is a LOT! but since this is a review I think it’s simply fair I give you my honest opinion on everything. So here it is the not so juicy stuff that may concern some of you. The modules and references regarding the legal stuff and business registration’ requirements, such as licenses & insurance as well as business recommendations are based on the Australian market. So they are specific to Australia. Which are a great learning point for anyone in the industry. But if you are a US/UK/Europe resident you may not be able to refer to the same guidelines as all authorities are different, you will need to source that out for your particular country. Another important point to note is that Rebekah is very casual and free when talking so she tends to use a few slang or swear words. For me that is perfectly OK. I don’t see any issues with it but I do know that for some of you this may be a NO NO. I just think it’s important for me to make you aware just in case you found that unacceptable. Some of the videos are a bit shaky and have static noise. This is usually a problem with homemade videos because no matter what you do the camera microphone will pick on those surrounding sounds. I have the same issue with my videos and some of you have bought it up to my attention. It’s not a big deal to those of us that know the cause but I know some who have frowned on it in my videos. Personally I think it’s negligible but you be the judge. I know what you thinking ! Is this for real ? Is it really $1 AUD? Yes! yes it is – you start at 1$ AUD the first month and then it’s $9 AUD every month. Why is it in Australian dollars? Is it for Australians? No it’s in Australian dollars because the Cake Business School is in Australia but the training is for anyone who would love to excel the cake decorating business. How is this Cake Business School different to other courses? 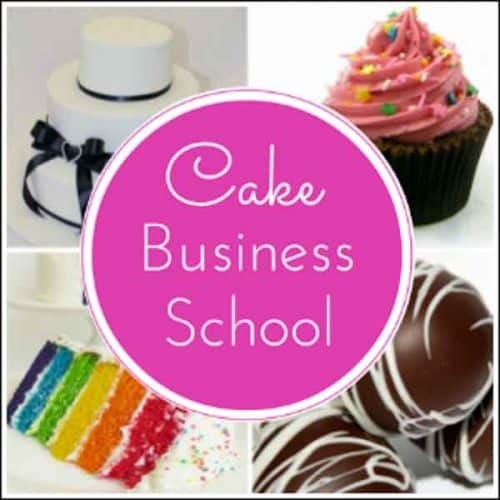 Cake Business School is the only course I know that actually gets into practical how to information to help you market, sell and create a professional cake business. 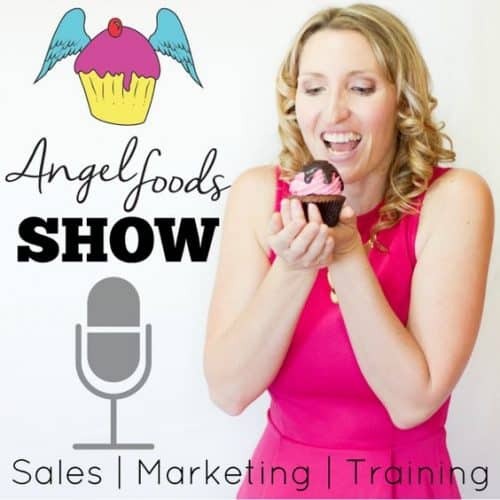 Rebekah shares training you won’t get anywhere else including lots of her hard work earned wisdom on business topic as well as step by step to showcase your skills and services in a way that your ideal clients will love weather you’re growing your business off – or online. I want to start a cake business but don’t actually have one yet? Is it still good for me? It’s absolutely perfect for you. Weather you are planning, just starting out or even been in business for a while there is a business module that’s just for you. So have I got you all excited to take your Cake Business to the next level. Well, now you can’t use the excuse that you don’t know how. This is abundance of resources at affordable prices and if you join now it’s almost like nothing. Lastly, I must acknowledge and say; I am so grateful to Rebekah for giving my fans such a big discount to her Cake Business School. Not only has she given you the opportunity to join for as little as $1 AUD she has thrown in so many resources for free. I do hope you will take advantage of this offer and give your business the attention it deserves. If you do Sign-Up please write a comment below this post of what you think so we can gain from your experience. Hi Veena I’m interested joining for this business school I’m in Australia. I have some questions to ask about how do I contact Rebekah. Just click on the links to her post and look for the contact form. I’m sure she will reply to you.